New Class at La Casa! Thanks to the Kinesiology Department at Occidental College, we are hosting a great “Physical Activity” workshop for parents of preschoolers. 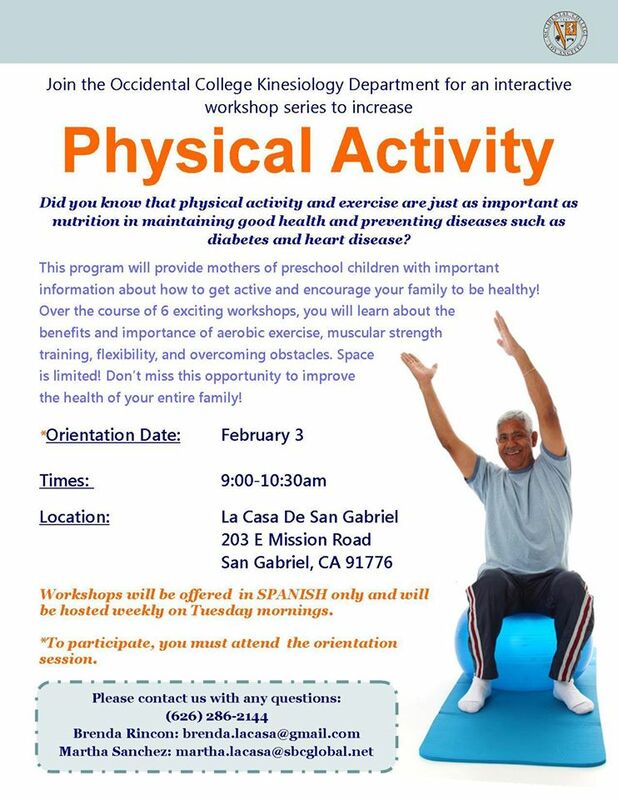 The program happens once a week and there will be lots of ideas on how to get your family active and healthy! Click on the flyer below for more details. La Casa gets some TLC and a new mural! Helping one another is one of the lessons learned in preschool.